One of my favorite parts about holidays is getting my daughter all dolled up for them. Even the most simple holiday can turn into something special with the right outfit! I haven’t ever been the biggest fan of St. Patrick’s Day. I have always felt like it was a little cheesy. I made it my mission to create a cute outfit that wasn’t super cheesy. I have been obsessed with elbow and knee patches lately. I love them in every way! 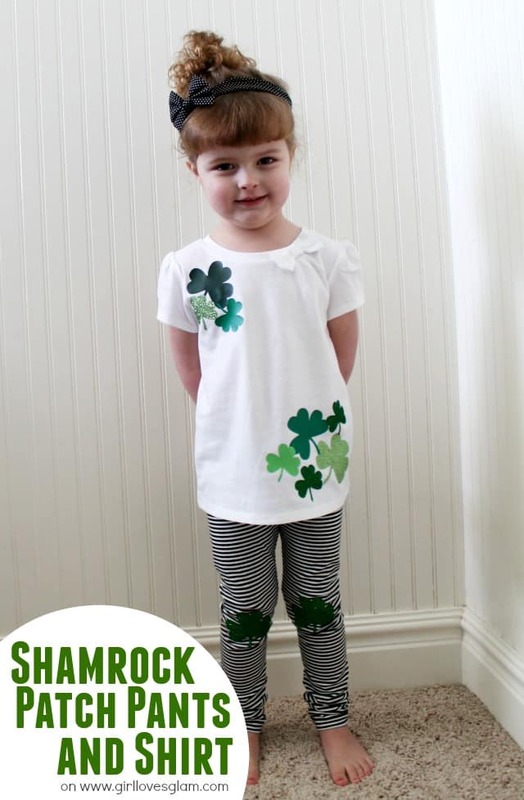 I decided to throw some shamrocks on an adorable pair of pants and create a unique tee to make the cutest darn St. Patrick’s Day shirt you have ever seen! I am excited to show you a super, simple way to bring some green into your outfit on St. Patrick’s Day, without overdoing it. 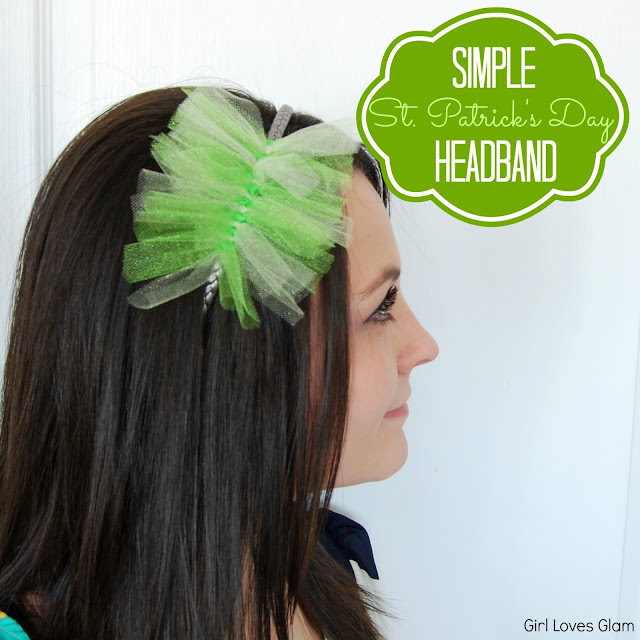 The best thing about this headband is that you can make it the morning of St. Patrick’s Day when you realize you have nothing to make you pinch proof! Another great thing, is that it isn’t permanent. You can easily use a headband you already love for this project and undo it after the holiday! Cut your material into strips that are about 4-5 inches long. 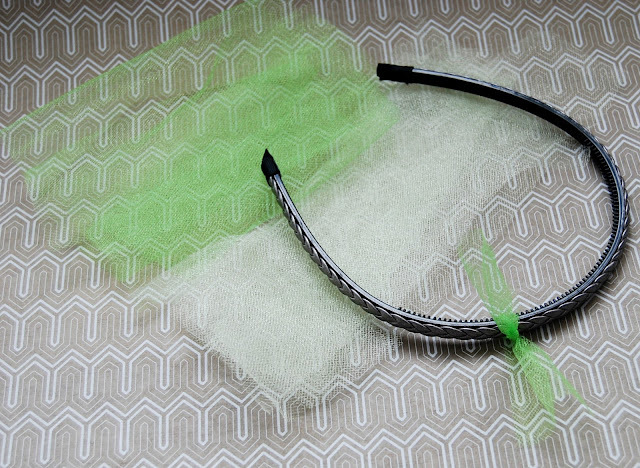 Tie your material in a knot around the headband. Tie more of your material on the headband, alternating colors, until you have it as wide as you want it to be. Trim off excess material so that it isn’t all over the place. Bam! You are done! I told ya it was simple! 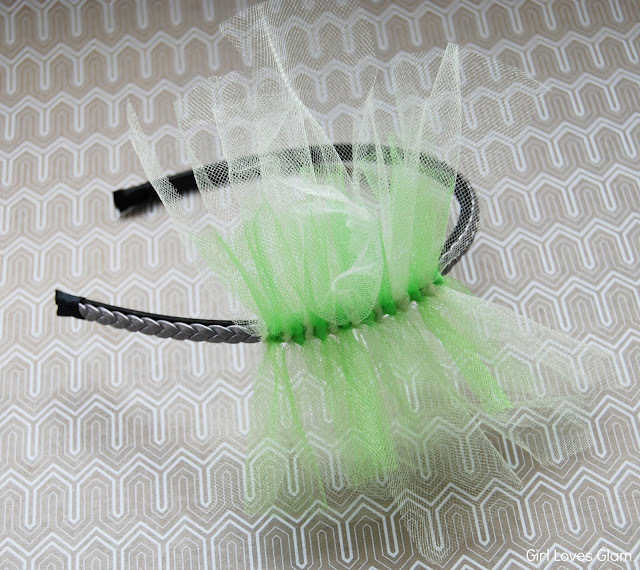 It took me about 10 minutes to make and the tulle could be easily cut off after St. Patrick’s Day if you don’t want to rock the green all year. 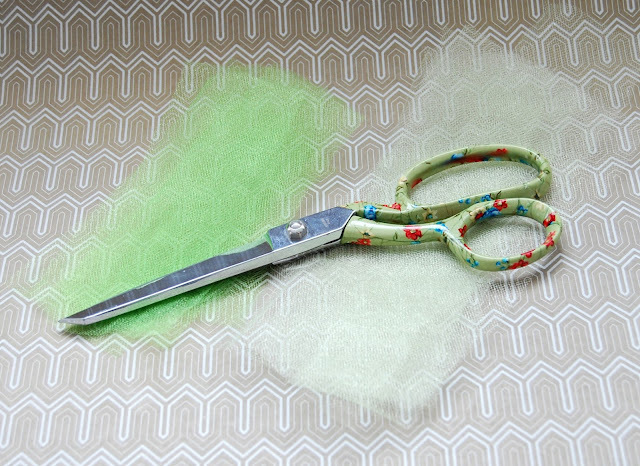 Although, you may want to think twice before you cut it off. 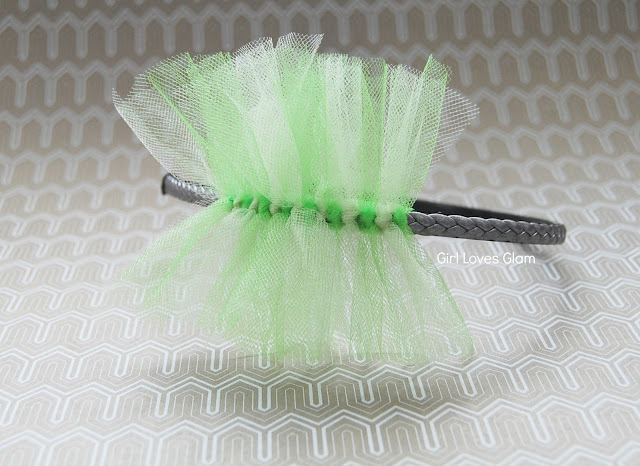 Emerald green is the color of the year you know! Have a great St. Patrick’s Day! Don’t get pinched! 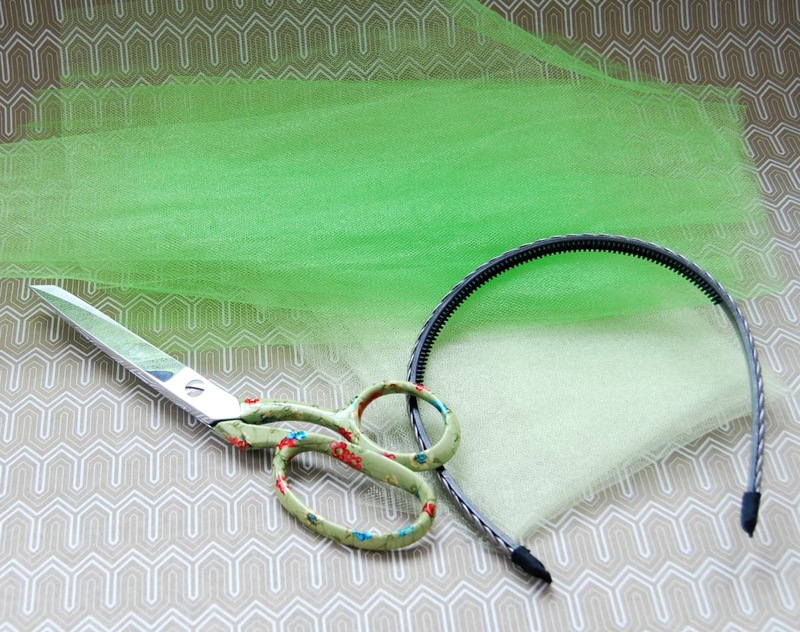 I am a contributor for Craft-O-Maniac, where this tutorial was seen first. 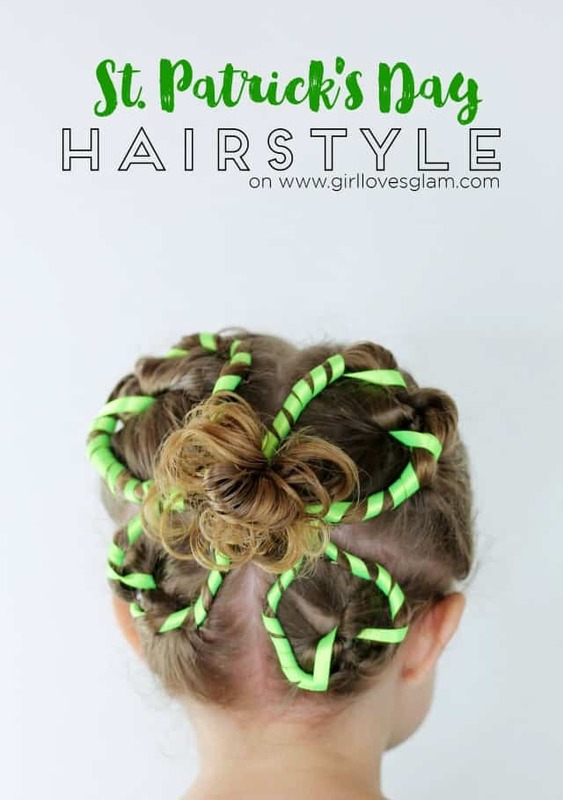 I will be linking to the awesome link parties found here.